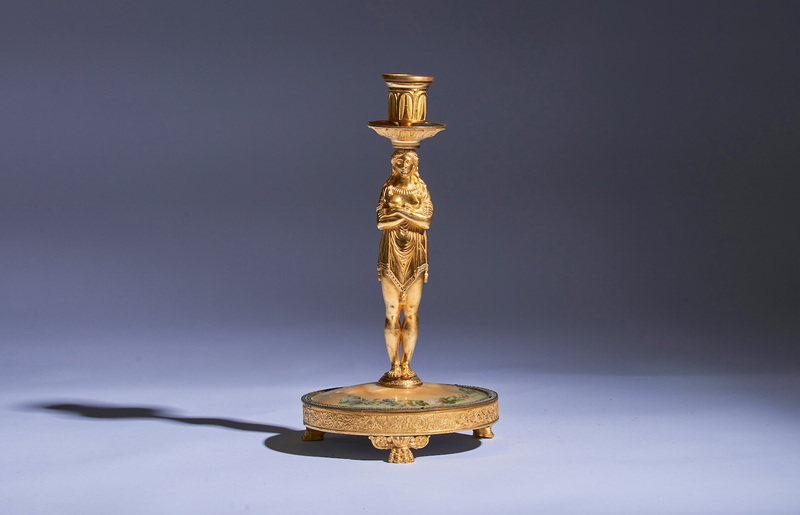 A Directoire candlestick in the manner of Pierre -Philippe Thomire circa 1810. 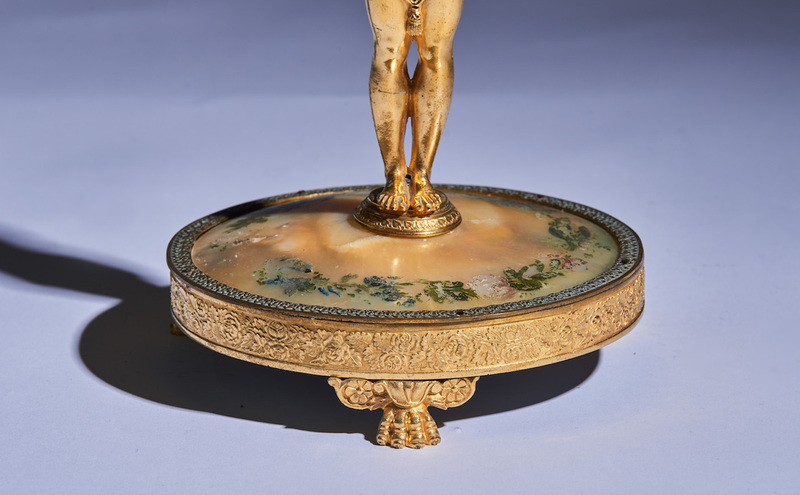 In ormolu and mother of pearl. 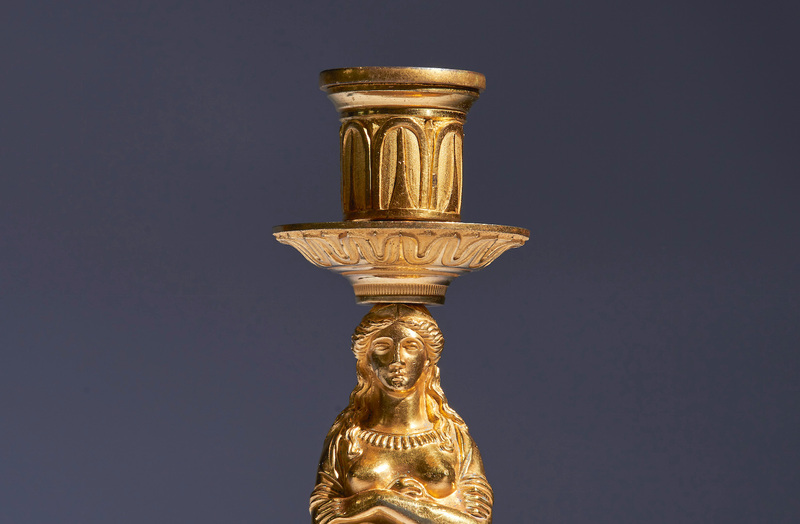 A female herm carrying a decorated candleholder on hear head, standing on a round mother of pearl base resting on paw feet.